Herbert “Skip” LaFrance, age 68 years, a native of Highgate Springs and more recently of Fort Jackson, New York, died Wednesday, March 29, 2017 at The University of Vermont Medical Center in Burlington. Born in Highgate Springs on, May 14, 1948, he was the son of the late Herbert Sr., and Mary (Morris) LaFrance. He attended Highgate schools and faithfully served his country in the United States Navy during the Viet Nam Era. 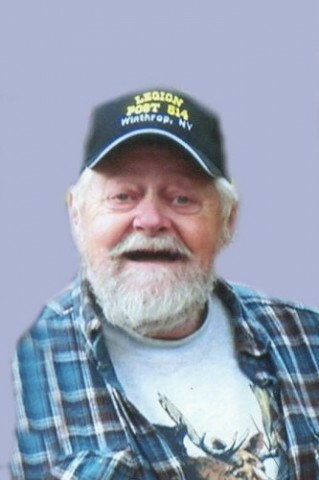 He was a member of the American Legion, Post 514 in Winthrop, New York. Skip worked as a carpenter for most of his life and loved hunting, fishing gardening and collecting guns. He leaves his son, Joel LaFrance and wife Sarah of Dover, New Hampshire; a good friend Beverly LaFrance of St. Albans; two brothers and their wives, John and Bonnie LaFrance of Highgate and Dana and Pamela LaFrance of Corinth, New York; two sisters, Dorothy LaFrance of California and Joan Bonyea of Roanoke, Virginia; three grandchildren, 4 step children and several nieces and nephews and his best friend, Earl McBride and family from Fort Jackson, New York.